The Church of Scientology’s place in our cultural consciousness is complex and its connections to Hollywood, mainly through the celebrities who have been associated with it, make it all the more fascinating to talk about. While some former members, like Leah Remini, have been more than willing to talk about Scientology, others have remained more mum about it, like current member and star of The Handmaid’s Tale Elisabeth Moss. 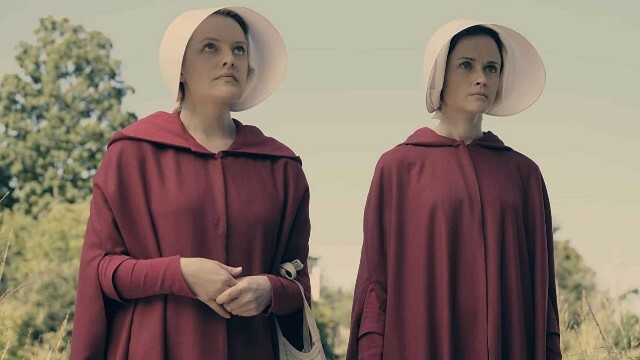 In a recent interview, Moss gave rare, candid comments about her Scientology beliefs and went so far as to make connections between Scientology and The Handmaid’s Tale. Speaking with The Daily Beast, Moss opened up in a way she rarely does about her own religious beliefs, which include her membership in Scientology. It should be noted that Moss did not specifically name Scientology in her comments, but it stands to reason that she could have been referring to the church since she was raised as a Scientologist. She elaborated, eventually connecting this belief is letting people speak about their own beliefs openly with themes of repression as seen in The Handmaid’s Tale, even invoking the name of the fictional authoritarian nation at the heart of the show, Gilead. Moss seemed hesitant to cast any kind of negativity on Scientology, even skirting the possibility of condemning them for their anti-LGBTQ stance (the Church of Scientology has issued a statement since claiming it has no official position on sexual orientation) when asked about it, instead affirming her own support for the LGBTQ community.